"A tour to Rajasthan is not complete if you have not been for camel rides and a walk through the narrow village aisles. The legendary legacy of the architectural style of Rajasthan has been known and widely appreciated for centuries but experiencing the magnificent monuments, beautiful temples and important destinations is one of its kinds and cannot be expressed just in words. What circumscribes the saga of the villages is their faith in religion. 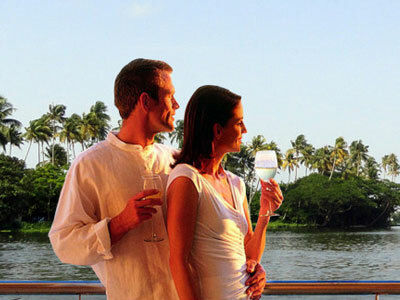 There is no place in the world that can give you the utmost pleasure in your holiday trip. Have you ever noticed every second street with the figurine of a God? Well, if you have not, then the perfect place to experience the bliss is the village centres of Rajasthan. It is n experience of a lifetime that you will cherish all your life. A camel ride is the most spectacular and exquisite site in Rajasthan. Make the best of your holiday by staying in the camps within the vicinity of the villages to be a part of the colourful culture that does not divide humanity on basis of colour or creed. Make your trip worthwhile by catching up with the green fields of Rajasthan." Arrive Delhi’s Indira Gandhi International Airport by late this evening. Where you will meet your driver & transfer to your hotel. On arrival check inn to the hotel. Overnight stay at the hotel. After breakfast we drive to the home town of Taj Mahal – Agra,takes us through the beautiful countryside. Afternoon we leave to explore the monumental heritage of the Great Mughals, includingthe magnificent Taj Mahal,a UNESCO World Heritage Site is one of the Seven Wonders of the World and surely the most extravagant expression of love ever created. 20,000 men laboured for over 17 years to build this memorial to Shah Jahan's beloved wife. It's a wealth of white marble and semi-precious stone – « undoubtedly the highlight of the tour ». Post lunch we also visit the imposing Agra Fort, a UNESCO World Heritage Site this powerful fortress of red sandstone encompasses, within its 2.5-km-long enclosure walls, the imperial city of the Mughal rulers. It comprises many fairy-tale palaces, such as the Jahangir Palace and the Khas Mahal, built by Shah Jahan; audience halls, such as the Diwan-i-Khas; and two very beautiful mosques. Later we drive towards Bharatpur famous for Keoladeo Ghana bird sanctuary, a UNESCO World Heritage Site which is a home to an astonishing range of flora and fauna. Overnight stay at the hotel. Morning have a completely rewarding experience of seeing an overwhelming range of birds during the rickshaw ride into the Keoladeo Ghana National Park. Afternoon we drive to Ranthambhore - former hunting preserve of the Maharajas, famous for the wildlife sanctuary, which is said to have the India’s friendliest Tigers and considered to be the best place in the world to photograph the tiger in its natural habitat, a wonderful place for bird watching too A variety of birds including owlets, the ubiquitous langur (monkey), leopard, caracal, hyena, jackal, jungle cat, marsh crocodiles, wild boar, bears and various species of deer are the other attractions. Overnight stay at the hotel. 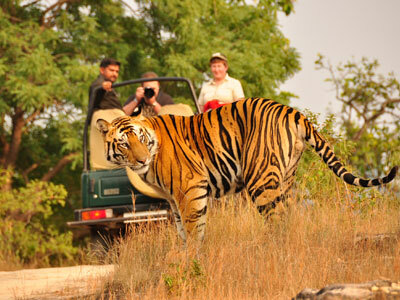 Early morning game excursions in the park, we are likely to see Nilgai (blue bull), barking deer and sloth bear, langur (monkey), leopard, caracal, hyena, jackal, jungle cat, marsh crocodiles, wild boar and perhaps the very elusive Royal Bengal tiger. Park visit Timings 7:00am - 10:00am. After morning Park visit we drive to the Bijaipur. Castle Bijaipur is a 16th century castle set in the serene vindhyanchal ranges near Chittaurgarh. A wildlife sanctuary adjacent to the castle has leopard, chinkara, spotted and four-horned deer, crocodile and wild boar as well as a variety of birds. Horse Ride ‘The Marwari Horses’, a local Indian breed and these horses are used for all our rides. The Marwari horse is related to the desert horses of Arabia; with lively grace of form and sensitivity of spirit, while being sturdy and sensible. Astride a beast that is born of the earth it travels, the rider is infused with hundreds of thousands of years of India. Overnight stay at the hotel. After breakfast we drive to Udaipur - There is no place in Rajasthan, which appeals more to the imagination of poets and painter, travellers and writers than Udaipur, an oasis in the desert state of Rajasthan. Enroute we visit the Chittorgarh fort. After the visit continue drive towards Udaipur. Early evening leave to visit the Crystal Gallery, this collection has been hailed as the single largest collection of crystal in the world. The crystal gallery also houses the only crystal bed in the world. Later we enjoy the Boat cruise at Lake Pichola. The breathtaking beauty of the Lakes – Pichola and Fateh Sagar truly make Udaipur an oasis in the desert. Overnight stay at the hotel. After breakfast We visit Wander through the opulent City Palacegrounds and the museum, which are the testamentto the valour and chivalry of the Mewar rulers. Visit Saheliyon ki Bari (the gardens the maids-of-honour), the Jagdish temple on the shores of Lake Pichola. The Bhartiya Lok Kala Mandir is a treasure house of Rajasthani folk culture. Evening we enjoy the Boat cruise in Lake Pichola. The breathtaking beauty of the Lakes – Pichola and Fateh Sagar truly make Udaipur an oasis in the desert. Overnight stay at the hotel. After breakfast our first stop to Nathdwara, about 48 kms from Udaipur in Rajasthan lies a very popular dham, Nathdwara set amidst idyllic hills on the left bank of the Banas river, where one can see devotees in large numbers flocking for worship. The place is most popular for its sacred Vaishnava temple of Lord Srinathji, the manifestation of Lord Krishna. Our second drive to the Deogarh – which has great antiquarian, epigraphical and archaeological importance. This town has figured prominently in the history. Traces and remains of the Guptas, The Gurjara - Pratiharas, Gonds, Mughals, Bundelas, and Marathas are implanted in the surrounding of the town. Overnight stay at the hotel. After breakfast we drive to Narlai village of Pali District in Rajasthan state. Is at base of a hillock crowned by a colossal statue of an elephant. 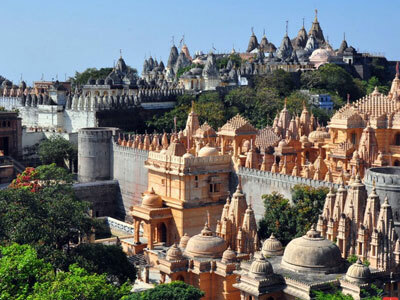 There are several Hindu and Jain temples. The temples of Adinath and Lord Shiva are most prominent temples. The ceilings of these temples are decorated with fine murals. Enjoy at surrounding the village with the local peoples. Overnight stay at the hotel. After breakfast we visit to the Jain temples at Ranakpur, superbly preserved in a near-perfect condition for over 500 years. The most attractive features are the 29 halls of the temple, which have 1444 pillars of which no two are like. Later we drive to the Rohetgarh there is Pioneers of activities such as 'The Village Safari', and offering an array of activities- from an extensive equestrian program to culinary workshops, Rohet Garh has set the highest standards in quality and efficiency, offering its guests an experience beyond compare. Overnight stay at the hotel. After breakfast we drive to Jodhpur through the most interesting contours of the desert landscape, the enchanting forts, temples, other royal residences and settlements retain its medieval character and comprise the town's multifaceted attractions. On arrival we check inn to the hotel. 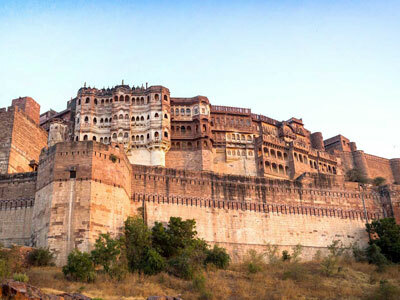 Later we visit the majestic Mehrangarh Fort, Perched on a 150 m high hill its sprawl is the most formidable and magnificent fort in Rajasthan which dominates and offers spectacular vistas of the blue-hued city. On the way down from the fort, on left is Jaswant Thada, the graceful marble cenotaph of Maharaja Jaswant Singh II. The main memorial has been built like a temple with intricately carved marble stone that is sculpted by the genius artesian. A visit to this structure is through the rocky hills giving it a secluded and a mystic aura. Overnight stay at the hotel. After breakfast we drive to the vast Thar Desert to the ancient caravan city of Jaisalmer - one of the last princely bastions in the region, founded on the crossroads of lucrative trade routes. It’s like straight out of an Arabian Nights fable. The name Jaisalmer induces a dramatic picture of utter magic and brilliance of the desert. The hostile terrain not with standing the warmth and colour of people is simply over whelming. Enroute we stop to visit Osian, An ancient town in the Thar Desert known for its temples. There are 15 brahminical temples and shrines, and a cluster of Jain temples, all built during the Gurjara Pratihara dynasty between the 8th and the 12th centuries. On arrival we check inn to the hotel. Overnight stay at the hotel. After breakfast we visit to explore the honey-coloured fort that emerges from the flat dry desert sands and enjoy a walk through the maze of narrow streets in the city with ornately decorated ‘havelis’ in yellow sandstone, built by rich merchants at a time when the city was a key stopping place on the caravan routes from the Middle East. Jaisalmer has been described as an ‘open air museum’, and to enter its narrow cobbled lanes is to step back into another era. Evening just before sunset we arrive at Sam Sand Dunes to see the total sandy bush less desert. It has a truly glorious stretch of sweeping sand dunes. We enjoy Camel Rideby the sand dunes and will be able to take our favourite picture with a lone camel on a desert track and the setting sun in the backdrop. Overnight stay at the hotel. After breakfast we drive to the visit Gajner Palace, converted into a heritage hotel just 32 kms from Bikaner. Gajner is an incomparable Jewel in the Thar, Built by the great Maharaja Ganga Singhji of Bikaner on the embankment of a lake with a generous dose of flora and fauna. Around the palace is a thick forestation that attracts the guests to take up a simple walk around admiring the migratory birds in winters like imperial sand goose, antelopes, black bucks and the animal species that wander around in the form of Nilgais, chinkaras, deers etc. The hotel is spread in a large area, and the ambiance around is as raw and authentic as it was before. Overnight stay at the hotel. After breakfast we drive to Samode Palace, The Palace is an old fortified residence of the Nathawat family (hailing from chomu) that served as the Prime Ministers of the Jaipur Royal Court is located some 40km from Jaipur in the range of Aravali. This magnificent fort is as charming and romantic in itself, and exhibits grandeur, good taste, class and elegance. On arrival check inn to the hotel. Later explore the city. Overnight stay at the hotel. After breakfast we travel to the old walled city of Jaipur – founded by Maharaja Jai Singh II, this ‘pink city’ is meticulously constructed on the lines of the Shilpa – Shastra, an ancient Hindu treatise on architecture. 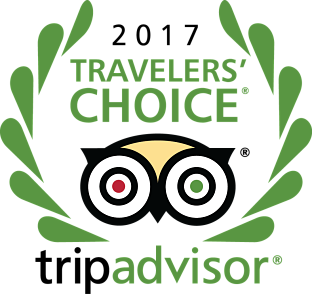 On arrival followed by a sight-seeing tour of the city visiting the dramatic hilltop fortress at Amber – ascend the imposing fort on a decorated painted elephant. We wander among glittering inlays and the Hall of Mirrors. On the way back we stop to view the elegant Hawa Mahal or Palace of the Winds this elaborate building, now little more than a façade, is encrusted with delicate screens and carved balconies from which the royal ladies, confined to their quarters, could sneak views of the outside world. Early morning after breakfast we drive to Delhi for homebound flight.